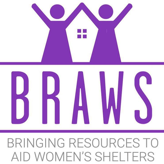 Holly Seibold is the Founder and Executive Director of BRAWS: Bringing Resources to Aid Women's Shelters. In partnership with generous individuals, foundations, and businesses in the community, Holly and her team have distributed over two million period products and undergarments to women and girls in crisis. In less than four short years, Holly has built one of the most recognized local nonprofit organizations in the DC region. ​Holly began her career as an educator in Fairfax County Public Schools. Transitioning from the classroom to a small business owner in 2010, Holly launched a successful educational firm, offering STEM consulting services and programs to clients, including Fairfax County, Town of Vienna, City of Fairfax, City of Falls Church, DC Public Charter Schools, and Columbia College. Holly is a fierce advocate for women's rights, testifying in Washington, DC and Richmond in favor of the repeal of the tampon tax and an increased access to menstrual supplies for all girls and women in shelters, schools, jails, and prisons. Holly’s work led to the successful passage of DC Law 21-201 - The Feminine Hygiene and Diapers Sales Tax Exemption Amendment Act of 2016. Holly also leads the Virginia Menstrual Equity Coalition (VMEC). VMEC mobilizes supporters to collectively take action on the injustice of menstrual inequity. As a result of these efforts, Virginia’s General Assembly passed House Bill 83 unanimously, requiring correctional facilities to provide menstrual supplies on demand and at no charge to inmates, which was enacted July 2018. Realizing the importance of shining light on issues that much too often remain in the dark, Holly has dedicated time to educating the public on issues that result from a lack of access. Most recently, she participated in Congresswoman Grace Meng’s panel, “The Case for Menstrual Equity: How Policies Surrounding Menstruation Affect Outcomes for Women” and was featured on the cover of the Washington Post in the article, "The Once-Whispered Topic of Women's Menstruation Now Has Political Cachet." Holly has appeared on NBC4 Washington, ABC 7 News, Good Morning Washington, Northern Virginia Magazine, Fairfax Public Access, StreetSense.org, The Kojo Nnamdi Show, Mix 107.3, the Connection Newspaper, and other media outlets. Holly is appointed by Governor Ralph Northam to serve on the Virginia Council on Women, an advisory council in the Executive Branch of state government. As one of 18 members, Holly works to identify ways in which women can reach their potential and make their full contribution to society. She also currently serves on the board of the Vienna Business Association, where she is the chair of the nonprofit, social outreach, and youth committees. Holly was named the 2017 Emerging Influential Leader of the Year by the Northern Virginia Chamber of Commerce and the Rising Star Heroine of the 2017 Heroines of Washington Awards. Holly is a graduate of George Washington University with a M.Ed in Elementary Education, as well a B.A. in the interdisciplinary study of Communications, Law, Economics and Government from American University in Washington, DC. She is a graduate of the 2018 Emerge Virginia program. Holly lives in Vienna, Virginia with her husband, Erik, and two children, Morgan (11) and Matthew (8). Jennifer Min has been a School Psychologist for Fairfax County Public Schools for over 20 years. She earned a Master of Education and an Educational Specialist degree from James Madison University. Jennifer also serves in a variety of volunteer roles in her community. She has been an active volunteer with BRAWS since 2016. Barbara Holmes, CPA, is a Compliance Director for a mortgage company with over 25 years of experience in the areas of mortgage compliance, risk, internal audit, and controls. She is a co-founder of the first Global Women's Affinity Group at her current employer, where she is involved in teaching diversity and inclusion classes. Barbara has a B.S. in Business Administration and English from McDaniel College. She has been volunteering with BRAWS since 2017, and previously held volunteer board positions with several other organizations. Bruce Neilson retired from the U. S. Department of Justice in 2008, after 31 years of service, where he was involved in program planning, budgeting and financial management and has served in a number of volunteer positions in the community. He is an advocate for the less fortunate with 20 years of involvement with SALT, www.S-A-L-T.org, or Social Action Linking Together. He embraces BRAWS goals and objectives and looks forward to working with the other members of the Board to bring new and exciting growth to the organization. Ilene Trachtenberg is the former executive director of the Weissberg Foundation, which supports nonprofit organizations that advance social justice for youth and adults in underserved communities. She earned her Nonprofit Management Executive Certificate from Georgetown University and holds a bachelor’s degree from the College of Staten Island-CUNY. Ilene has served on evaluation and steering committees of major philanthropic organizations in the Washington, DC region, including projects of the Greater Washington Community Foundation. ​After earning her B. A. in Literature from Florida State University and her M. A. in Communication Theory from the University of Central Florida, Mary Franceschini taught for 3 years before joining Prentice Hall / Pearson Higher Education in sales and marketing. Now a full-time mom, Mary has been very involved with BRAWS working in the office and at events such as Mardi Bras. ​Emily Schofield has been with BRAWS since it’s inception. A graduate of the University of Delaware, she has worked for a non-profit and the government and recently started her own interior decorating business. Emily’s love for entertaining and attention to detail made her an obvious choice for Chair of Special Events. She oversees Mardi Bras, the Fun Run and OktoBRAfest. In her free time, Emily likes drinking piña colada‘s and getting caught in the rain. She has three amazing kids, a loving husband and a sweet, but ornery “designer dog” rescue. ​Kari is a Realtor at The Govan Real Estate Group at Keller Williams Realty. For over ten years, she has been helping clients buy and sell homes in Northern Virginia. She runs a service-oriented business making her clients a top priority! Her background is public relations and advertising and has run PR/Advertising campaigns for Verizon, MCI and the Chemical Manufacturers Association. She loves being involved in the Vienna community and has served on many boards throughout the years including her girl's pre-school, elementary school and currently serving on her church board. She looks forward to becoming more involved with BRAWS and all the great things they do! Renee Cleveland Harris is an Analyst for the Federal Government, with over 25 years experience in strategic planning, program management, policy development, and oversight of statutory compliance. She has earned both a Bachelor of Arts and a Masters of Education degree from the University of Maryland, College Park and is a United States Air Force Veteran. Renee has been an active volunteer with BRAWS since 2016. Laura Stokes is a writer and teacher in Fairfax City. She has an MFA in creative writing from the New School in New York City, and her work has been published in BUST magazine, Bookforum, the Brooklyn Rail and XOJane. Nikki Richens recently relocated to Fairfax from Memphis, TN. She comes to the BRAWS family with over 6 years of experience helping top touring artists connect with their fans as the social media director at a concert promotion company. She is excited to put her expertise to work helping BRAWS connect to their biggest fans (old and new), while spreading the message of such a worthy cause. Erika Milena Yalowitz has worked with at-risk youth, women and families for over a decade. She brings deep knowledge and understanding of how domestic violence affects local families in Northern Virginia and it's connection to homelessness. As a community advocate, Erika also enjoys making connections that support the mission of BRAWS and lead to collaborative and complementary work with other organizations. Erika is has a double bachelors in Political Science & Government and International Relations and graduate studies in Political Management and Governance from GWU and a professional certificate in Business Administration from Georgetown University. Kristine Griepentrog started her career working with children, teens and adults as a Physician Assistant in a medical office. A graduate of Marquette University in 1999 with a Bachelor’s Degree in Biomedical Science, Kristine went on to receive her Master's Degree in Physician Assistant Studies from Marquette University in 2001. She is actively involved in her children’s elementary and middle schools, serving on the PTA Board for many years. Kristine joined BRAWS in early 2018. *To become involved, please click on the VOLUNTEER button below.